The Stainless Steel Tattoo Grip is an affordable, top quality grip. These grips feature 316L stainless steel construction with a ribbed center and a contour shape, giving the artist better handling and grip. They are 50mm (2”) long and are available in three sizes: 16mm, 19mm, and 22mm, 25mm. All size grips use 5mm grip screws. 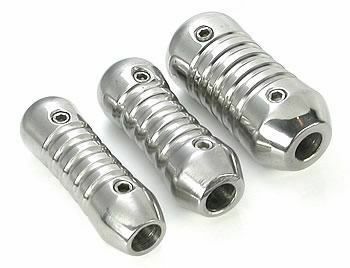 https://www.painfulpleasures.com/stainless-steel-tattoo-grip-16mm-or-18mm-or-22mm-ribbed-3-sizes.html?___store=1 3304 Stainless Steel Tattoo Grip - Ribbed - 3 Sizes https://cdnstoremedia.painfulpleasures.com/media/catalog/product/t/a/tattoo_grip_001.jpg 7.99 7.99 USD InStock /Tattoo Supplies /Tattoo Supplies/Tattoo Grips & Accessories /Tattoo Supplies/Tattoo Grips & Accessories/Stainless Steel Tattoo Grips /Precision Discount Category/Precision /Tattoo Supplies/Tattoo Supplies - View All 3 Sizes of Tattoo Grips - Contoured & Ribbed The Stainless Steel Tattoo Grip is an affordable, top quality grip. These grips feature 316L stainless steel construction with a ribbed center and a contour shape, giving the artist better handling and grip. 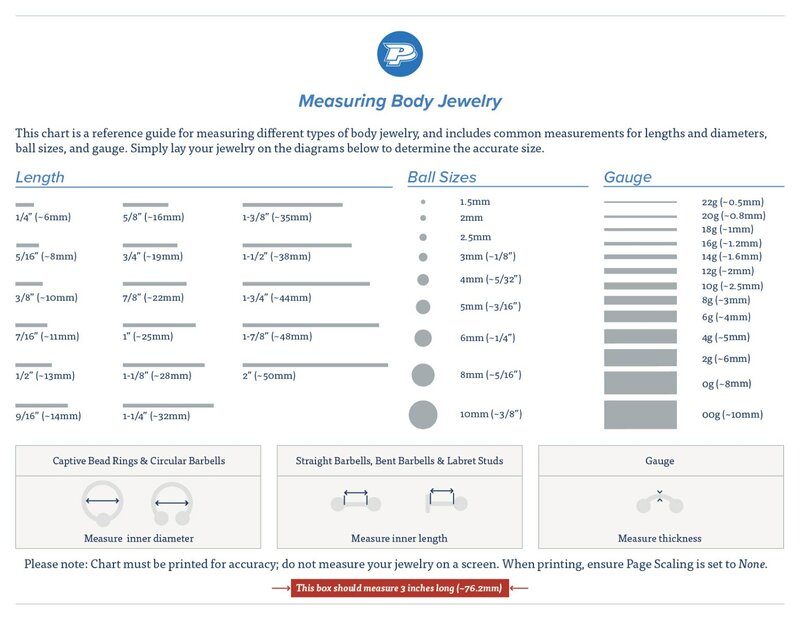 They are 50mm (2”) long and are available in three sizes: 16mm, 19mm, and 22mm, 25mm. All size grips use 5mm grip screws. Specifications: Quantity: 1 grip 3 size choices: 16mm, 19mm, and 22mm Length: 50mm (2”) 316L ASTM F-138 implant grade stainless steel Contour shape Ribbed Manufacturer: Precision Related Products: 5mm Stainless Steel Grip Screws Allen Wrench USD 3305 Stainless Steel Tattoo Grip 16mm or 18mm or 22mm Ribbed - 3 Sizes - 22mm ~ 7/8" 8.49 8.49 https://cdnstoremedia.painfulpleasures.com/media/catalog/product/t/a/tattoo_grip_001.jpg InStock 22mm ~ 7/8" 3306 Stainless Steel Tattoo Grip 16mm or 18mm or 22mm Ribbed - 3 Sizes - 18mm ~ 11/16" 8.09 8.09 https://cdnstoremedia.painfulpleasures.com/media/catalog/product/t/a/tattoo_grip_001.jpg InStock 18mm ~ 11/16" 3307 Stainless Steel Tattoo Grip 16mm or 18mm or 22mm Ribbed - 3 Sizes - 16mm ~ 5/8" 7.99 7.99 https://cdnstoremedia.painfulpleasures.com/media/catalog/product/t/a/tattoo_grip_001.jpg InStock 16mm ~ 5/8"